The reseller will be one of the first to ship a laptop complete with a desktop Core i7-8700K Coffee Lake-S CPU. Now that the desktop Coffee Lake series is out in the wild, it was only a matter of time before Clevo and its various resellers would begin updating their high-performance notebooks to support the latest generation of Intel CPUs. 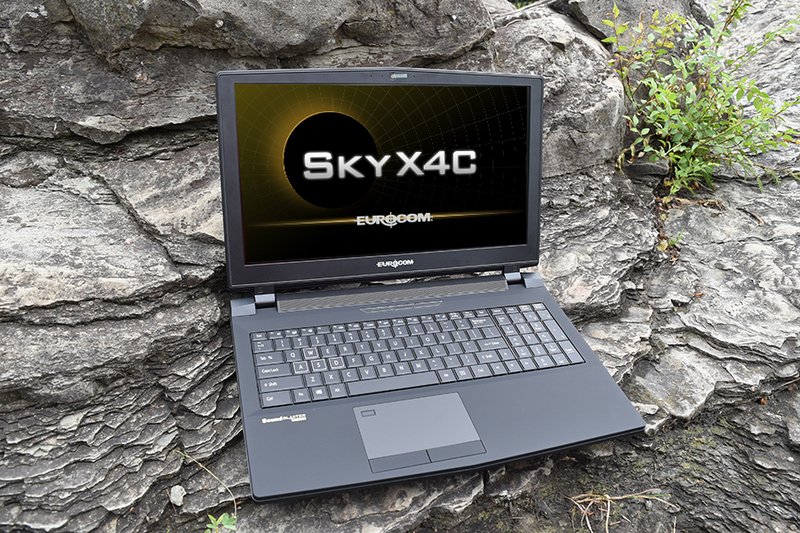 Eurocom is already preparing to refresh its Sky X series by swapping out the Skylake Z170/Z270 chipsets for the Z370 Coffee Lake chipset complete with improved cooling. As already reported by various outlets, Coffee Lake CPUs are not backwards compatible even though they share the LGA1151 socket type. The refreshed models include the 15.6-inch Sky X4C, 17.3-inch Sky X7C, and 17.3-inch Sky X9C. The X9C chassis is physically larger than the X7C in order to support additional internal storage bays, MXM 3.0 SLI options, 4K UHD, and more. Otherwise, all three are equipped with at least one MXM 3.0 slot and LGA 1151 socket each for extreme performance potential. Clevo barebones and Eurocom systems are some of the most powerful notebooks available with more modular features than alternatives from Asus, Alienware, Razer, Gigabyte, HP, and Lenovo. The MSI GT Titan series is perhaps a close second, but the manufacturer does not encourage end-user tinkering and upgrading at the same level as Eurocom. We're definitely eager to see how the updated cooling solution will perform as the older X7E2 definitely had some issues regarding noise and core temperatures. Prices have yet to be announced, but shipments are expected to begin on November 15. Check out the product pages for the Sky X4C, X7C, and X9C for more specifications and images.